Looking to add colours to your walls or simply freshen up the look of houses? Most of Singaporean live in HDB flats, I guess you are one of them, if not you will not be reading this now! 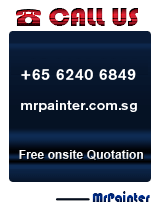 Painting services in Singapore depends on how many rooms you wish to paint and depending on the type of paint you want. We understand that choosing colours for your walls often led owners to a major headache, as many do not have any idea which colour to choose for their environment. Saving money is always the barrier; the worst mistake that we can ever commit is to select the wrong painting companies. Choosing the right professional painting companies is essential as it will minimize disorderly disturbance & stress; it is beneficial in a long run. After narrowing down to a few companies, you will find a price that it is affordable. Paints are available in an extensive range of colours, you will definitely be satisfied and contented to find a colour at your preferred choice. Any mistake you made may directly affect your environment that will turn out to be costly and unnecessary. 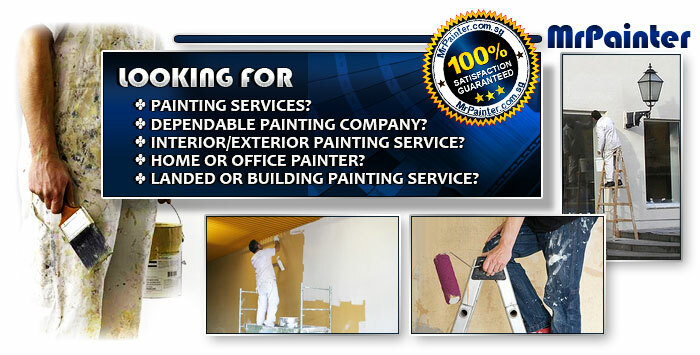 It is always advisable to seek help from professional painting company. With Mr Painter LLP around, our team of consultants will be your greatest assistance; we will know how to choose the most suitable paint colours! With our assistance, you will also save money and time. 1. Your house theme – Overall house theme will help to determine which type of colours to use. 2. Type of flooring – The colour of your flooring is also important as it will match your own flat. No matter what, it is still advisable to allow us to go for a FREE on-site quotation with no obligation to advise you on the colours of the walls and the exact price quote. 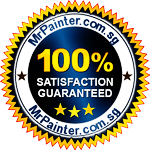 Mr Painter LLP is one of the leading painting companies in Singapore; we are many of our clients preferred choice. Whenever before we start any painting job, we will move your furniture to the somewhere safer and protect them with plastic drop cloth. 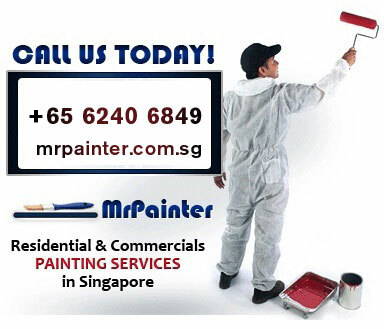 Our team of painters are skilled and knowledgeable with over 20 years’ experience. We provide unparalleled value for all our clients. Tell our professionals your requirements so that we can provide you with the right decision. Should you have any doubts or enquiries, please do not hesitate to contact us!